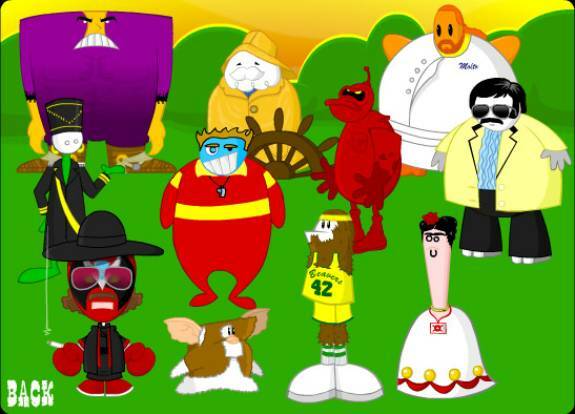 The Homestarrunner web site is a difficult site to review. If I were to compare the site to anything, it would be to the movie Ishtar. Much of the humour of this site’s is a matter of how annoying some of the animated characters are. Similarly, a great deal of the humour of Ishtar, is the brilliantly annoying music written by Dustan Hoffman and Warren Beatty’s characters (most of which was written by Paul Williams). 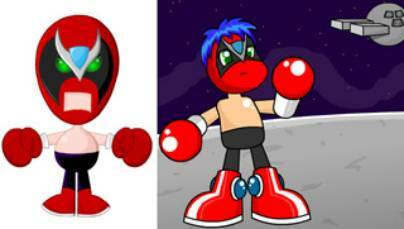 The web site consists of numerous short animations, the most noteworthy of which are of the character Strong Bad sarcastically answering emails (while wearing boxing gloves and sometimes typing to a DOS command prompt). Animated visuals back up his replies. It’s as if the creators of the site were told at some point that there’s no money in answering emails, and they decided to make a living breaking that principle. The income stream for the site includes sales of videos of their animations, t-shirts, and toys of the various characters. One collection of animations, The Cheat Commandos, have their episodes end with a musical riff, “Buy All Our Playsets and Toys!” This line simultaneously mocks cartoons that are simply advertising vectors for toys, while actually being an example of what it’s mocking. A brilliant business strategy if you ask me. 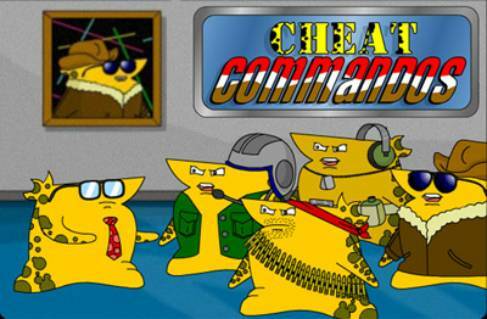 (I should note that you can download and print out the Cheat Commandos playsets for free.) A good lead in to the Cheat Commandos sub series is Shopping for Danger. The animators for this site seem to go out of their way to show off their talent for various animation styles. This includes such widely varied styles as early 20th century black & white cartoons, and work similar to 70’s rock band cartoons ala The Jackson 5, The Osmonds and Josie and the Pussycats (see the Strong Bad email “Best Thing”, for the pilot episode of the cartoon show of a heavy metal band, called Limozeen: But They’re in Space). One of the emails to Strong Bad, asks what he would look like as a Japanese Cartoon. He morphs into a blue haired Anime version of himself, with a different voice, complete with very poor lip-synching. I enjoy spotting the site’s sometimes obscure SF references, including the Poopsmith appearing in a Halloween special dressed as Necron 99 from Ralph Bakshi’s Wizards (in the short Happy Hallowday). The web site also includes the answering machine of Marzipan, apparently the site’s only female character. You can listen to Strong Bad try numerous phone phishing scams, or hear some of the more annoying characters hit on Marzipan in profoundly incompetent ways. As with Ishtar, you may find Homestarrunner.com either screamingly funny, annoying, or some of both. Originally in Neo-opsis Issue 12.